Proposing some solutions to save our towns from over-development by envisioning a better built up environment. We can keep complaining about the greed of Developers and set our ambitions as low to where the best we can hope for is for everything to stall and remain as it is, or we can start thinking on how to build a better future. The carnage of our environment goes on! The greed of developers has no bounds, the stupidity and perhaps corruption of planning officials and politicians persists; yet the reaction of the self-appointed defenders of our environment does not impress me as being any better. This time it is a slew of applications in Pembroke that has environmental NGO FAA (Flimkien ghal Ambjent Ahjar) up in arms. It is to be noted that these are still just applications and have not been approved yet. Furthermore the Pembroke local council has also objected to all of these developments. In this brief article I will argue the case that the target of most people’s ire is not the main culprit, go on to shed some light on the root-cause of the problem, and forward some practical suggestions to improve our built environment. These are general suggestions not necessarily a diktat for these particular streets or locality, but a blueprint for a framework of thinking to apply to areas deemed suitable for the intensification of development. This is what I think should have been done in Sliema and St. Julians 20 years ago. It is what needs to be urgently done in Gzira and kept in mind when redeveloping Marsa and possibly other places. The problem is not the 5 floors but dumping extra floors on the same infrastructure that was conceived for low rise development. What was unreasonable was wasting so much of our land to satisfy our fetish for one and two storey single family housing. Make the rise in height conditional on moving all parking underground. Plan ahead on removing street parking, and transforming those (currently de-facto useless) porches to widen the road, add green/bus lanes, add bicycle lanes and widen the sidewalks. Put street-scapes at the centre of urban planning strategy. Improve them by deicating most of the ground floor to commercial use and ban the cancer that is semi-basement. Use trees (or street furniture) to separate the sidewalk from the street not the buildings. Of course individual streets would need to be examined on a case by case basis to determine their peculiar priorities. Not every street has the luxury of porches, or has the same traffic flow. 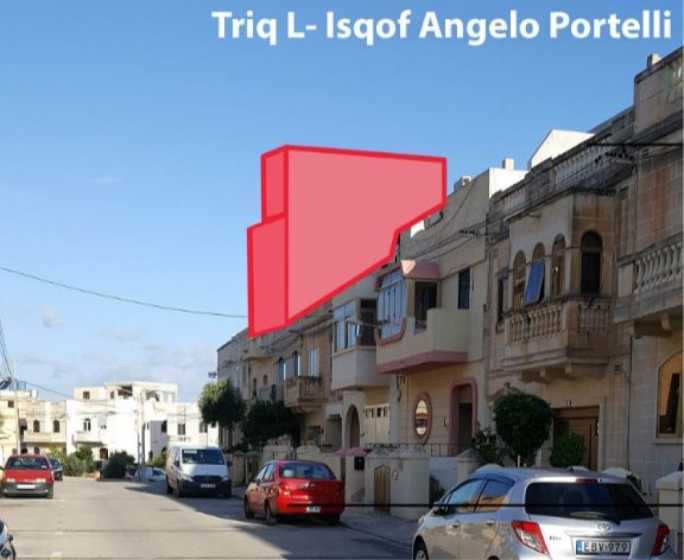 In Malta we should never have allowed any development under 4-storeys (with appropriate infrastructure) to be carried out in the first place, not in the last 200 years. Low rise is just a waste of our precious land, increases the cost of our infrastructure, lays the ground for our car dependency, and undermines the viability of mass transportation. Still think medium-rise is bad? The Knights built Valletta as a city full of 4 and 5 storey high buildings, because they knew how to build! Almost all historical European city centres are made up of 4,5 or 6 (but mostly 5.5) storey high buildings. But you can’t compare the beautiful architecture of yesteryear with what is being built today…I can hear you protest. I agree, it is true that the contemporary so-called developers will go with the cheapest architecture to build with no regards towards aesthetics later all creativity. However, well designed streetscapes can make mediocre architecture look good, while the most lavishly decorated facade will not solve any of the underlying infrastructural shortcomings. Architecture is also a problem, but it is not the main problem. Sure it might take decades for the rewards to be reaped, but there are plenty of streets in Sliema which have already undergone a complete metamorphosis and would have benefited from such planning, instead of now being irredeemable or almost. Don’t give me the bu… patronising sermon about the fairy tale of 70,000 empty properties. I used to point out the problem of empty dwellings before it was hip to care, but a good look the price surge in the rental market shows clearly that the situation is more complex than that. That’s my 2 cents, from someone who is neither an architect nor a full-time “e-ngo activist”. I’m sick of the usual pantomime that leads to the same old results. I will not give up on a dream that our best days are still ahead of us, and surrender to the acceptance that the best we can hope for is for everything to stall. We can opt to be passive and stand on the sidelines; we can pretend to care but really settle on being self-righteous posers bitching and moaning just to temporarily feel better about ourselves; or we can actually make the effort required and start thinking to critically asses the current situation, propose solutions, come up with ideas on how to improve our built environment, and actually save our towns.